We offer award-winning roof replacement solutions in Knoxville! Select from a wide variety of roof replacement solutions, including 3 tab and Architectural asphalt shingles. We value our customers so we make sure that every roof replacement job that we perform is “all inclusive.” This means that for one set price, your roof will be completely removed and hauled away for recycling, and any deteriorating lumber will be replaced prior to the installation of your new roof. Each roof installation will include the replacement of vents and flashing, as well as our topnotch 5 year “No Leak” warranty! Our highly-dedicated team of friendly and experienced roofers will assist you every step of the way, addressing any questions or concerns that you might encounter. Upon the completion of your brand new roof installation, your property will be thoroughly cleaned and tidied up of any debris that might have accumulated during the roofing project. Your new roof will then be closely inspected to ensure that our first-rate quality of standards has been fully met, providing you with an overall positive experience! Browse through our exciting color options and start planning for your new roof project with Knoxville Roofing’s state-of-the-art roofing options today! Contact us for a free consultation and learn more about the roof replacement options available to you! We are waiting for your call and look forward to replacing your old covering with a stunning, and definitely more powerful new roof as soon as possible! We guarantee all of our work is performed in a timely fashion so that you don’t have to suffer the long and agonizing process of construction – it will be very easy for you! Contact us today for a new, stylish roof! 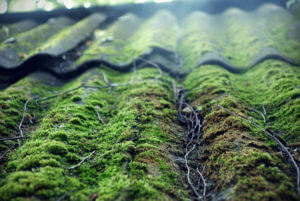 Should a Mossy Roof be a Reason for Concern? https://knoxvillesroofing.com/wp-content/uploads/2016/04/Mossy-Roof-by-Knoxville-Roofing-2-300x201-2-2.jpg 201 300 Eric Keith https://knoxvillesroofing.com/wp-content/uploads/2015/03/Knoxvilles-Roofing1-300x195.png Eric Keith2016-04-27 16:34:012016-11-14 16:47:52Should a Mossy Roof be a Reason for Concern?